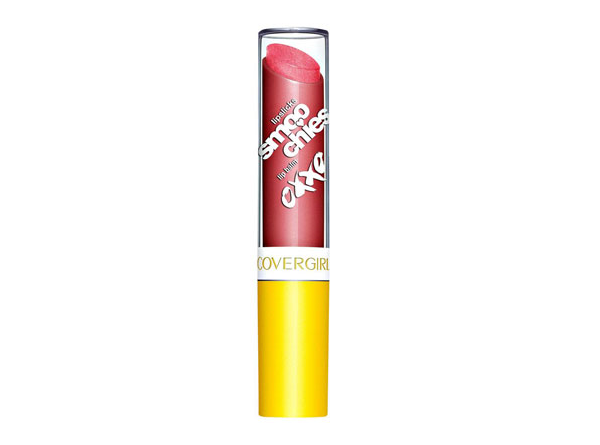 I probably like Cover Girl Lipslicks Smoochies Lip Balm ($5.99 at London Drugs) much, much more than I should because it's such a fun nostalgic throwback to my younger days, when Lip Smackers and cherry ChapStick were my lip products of choice. From the fruity scent and bright packaging to the sheer colours and cutesy names ("Sweet Tweet" and "C U L8R"), everything about these lip balms alludes to a younger demographic. Performance-wise, it resembles most conventional drugstore lip balms and has a slightly waxy, thin texture that requires frequent re-application. The formula delivers barely noticeable colour and plenty of shine, along with effective hydration. It's a great little lip balm to give to pre-teens who might not be allowed to wear makeup just yet—or to women in their 20s and 30s who are reminiscing about Lip Smackers and reliving their youth through Dawson's Creek reruns on Netflix. Not that I'm doing that or anything.